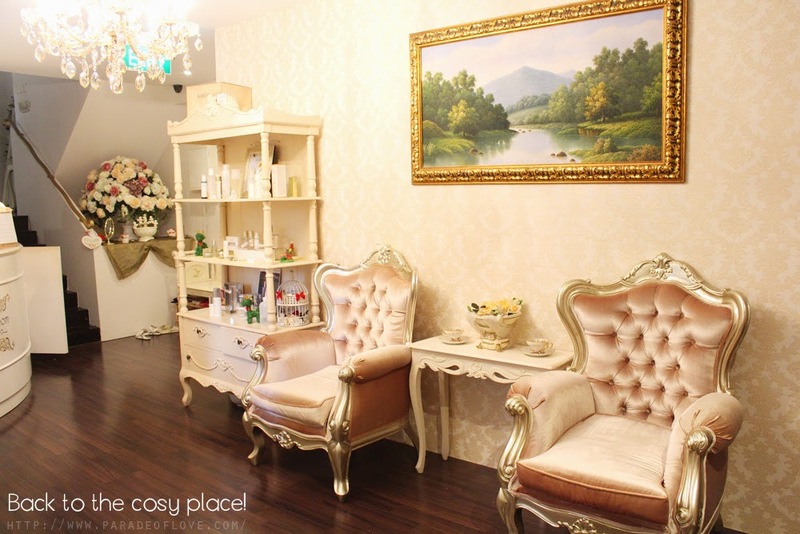 I am back to My Cozy Room Boutique Spa again! (Read about my previous experience here.) I just love being around the florals and royal English decor because it makes you feel like you’re in an imperial castle, a cosy one that is! This April, My Cozy Room invites you to revel in an afternoon of pampering treatments with refreshing and cool citrus scents with their newly launched High Tea Fruity Indulgence Treatments. You get to choose between the High Tea Fruity Facial Spa and the High Tea Body Spa Indulgence, or both, if you want a top to toe rejuvenating experience! Due to long hours of sitting in front of the computer, my shoulder has been giving me dull aches so I opted for the High Tea Body Spa Indulgence, a 60-minute treatment, first. 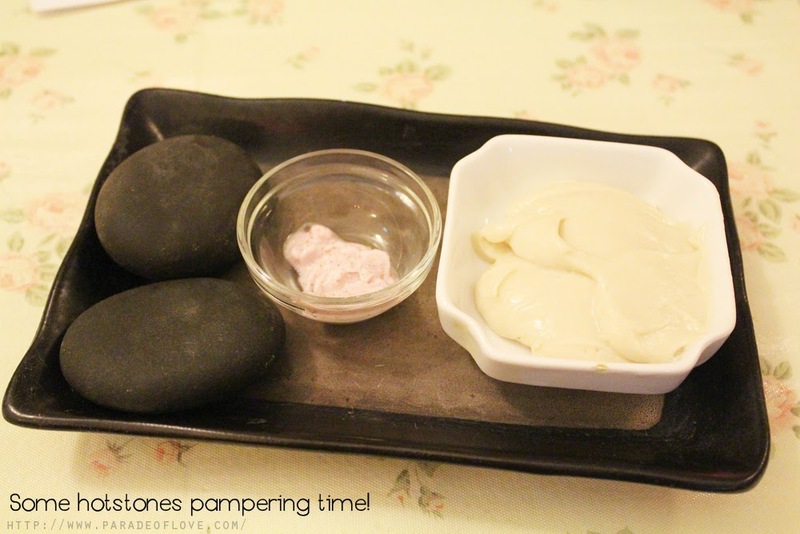 Here’s the therapist’s massage “kit” containing some hot stones with substantial heat to deeply relax and help warm up tight muscles; a fruity (mine is mangosteen) back scrub that helps exfoliate dead skin cells and rejuvenate the skin and chocolate cream that leaves the skin feeling moisturised. A shot of my therapist, Salvia, and I, before my treatment began. 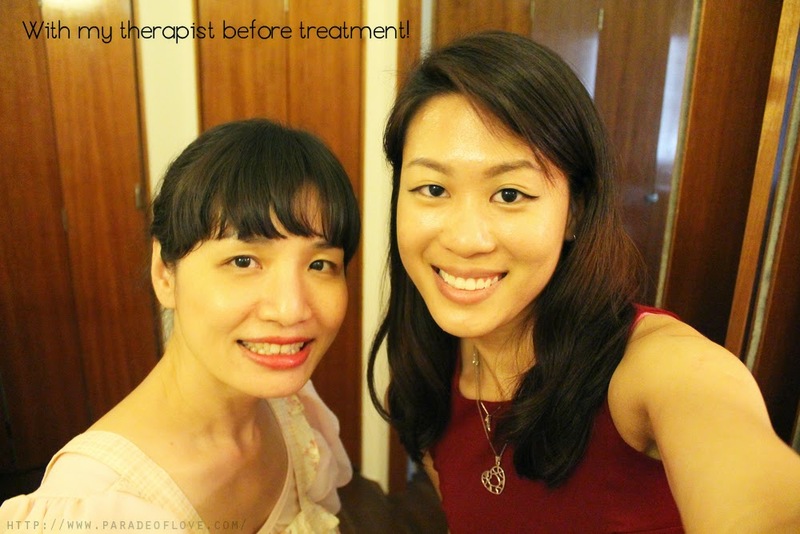 Note my complexion before the treatment and you can compare it to my after-treatment skin. Another shot of myself in my favourite treatment room that comes with a shower. You probably won’t be able to see clearly but that’s a beautiful chandelier hanging by the ceiling. The lighting can be adjusted such that you’ll feel much more relaxed. I was first treated to an exfoliating back scrub so as to remove dead skin cells and some clogged gunk that’s piquing my skin. Shortly, Salvia used the heated hot stones as an extension of her own hands to gently massage on my back, concentrating on the common problem areas that us, city dwellers, face. The heat was just right and I could really feel that my stiff areas were much more soothed as the hot stones glided on my fatigued muscles. Right after the knots were kneaded out of me, it was time for my face with the High Tea Fruity Facial Spa, also another 60-minute treatment. The treatment uses products from the brand, BABOR, Germany’s No. 1 effective professional skincare range. As I had makeup on so Salvia had to gently remove them with a cleansing oil before proceeding with a facial massage to aid blood circulation. My skin was then treated with the BABOR Mild Peeling that contains Peach Kernel, exfoliating away rough, flaky skin while conditioning it. I actually really like the facial point massage that Salvia did on me because it was thoroughly relaxing! Because the facial treatment is a shorter than usual one, an Ultrasonic Skin Scrubber was used instead of the typical extraction. 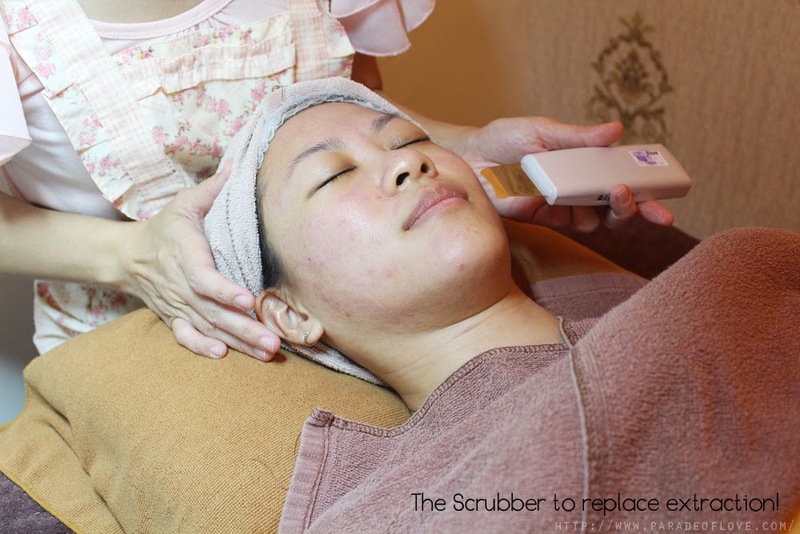 The scrubber is essentially this device with a thin metal spatula which vibrates ultrasonically to extract from the pores without causing physical pain. 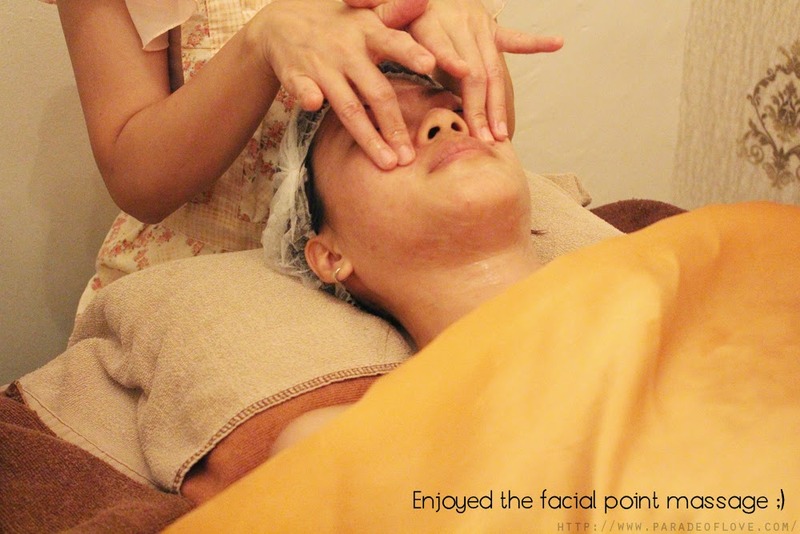 This is so that the skin is prepared for infusion mode where topical skincare products penetrates for maximum results. It is also said that the scrubber helps remove dead skin cells, dirt and debris that cause skin dullness as well. There is absolutely zero-pain and the treatment is much much more enjoyable for me! What entailed was a Kiwi Mask for anti-acne and detox (you can pick the Cherry one instead for hydration and whitening) followed by the after-treatment skincare regime inclusive of the usage of a Vitamin C Serum for a more even and radiant appearance. I don’t have photos here because I was so sound asleep that I forgot to ask the therapist to snap some shots for me. Aaaaaand, this is my post-treatment face! No extraction = no pesky redness! Look how bright my complexion looks after the treatment. This shot was with no makeup at all by the way. 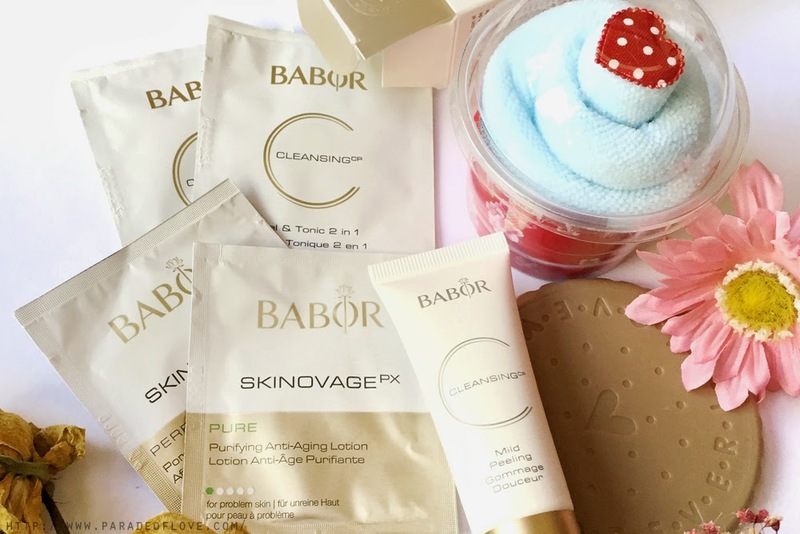 What I really like about the facial is the use of quality skincare products from BABOR. The products used on me did not break my skin out and felt quite mild but effective at the same time. 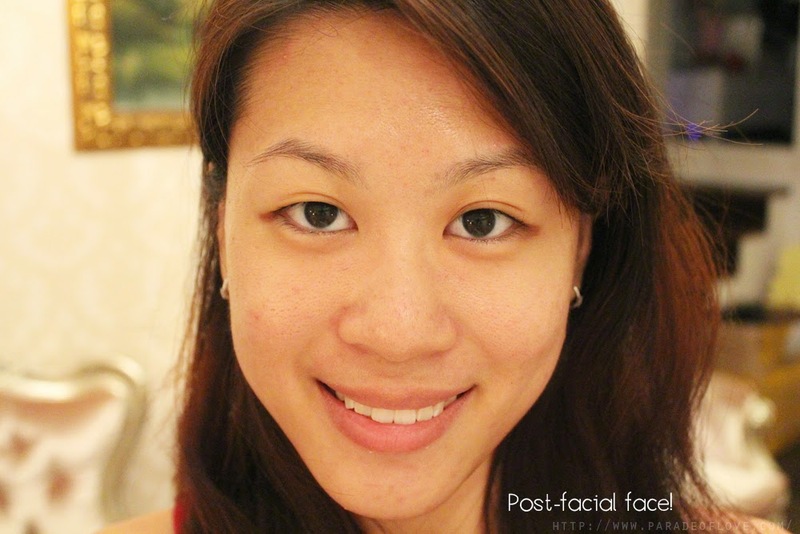 After a few days, I felt that my skin appeared to be clearer as the dead skin cells were removed and I don’t experience any sensitivity as well, which was a plus! I received some skincare samples and a travel-sized BABOR Mild Peeling (worth S$39) used on my skin as well! 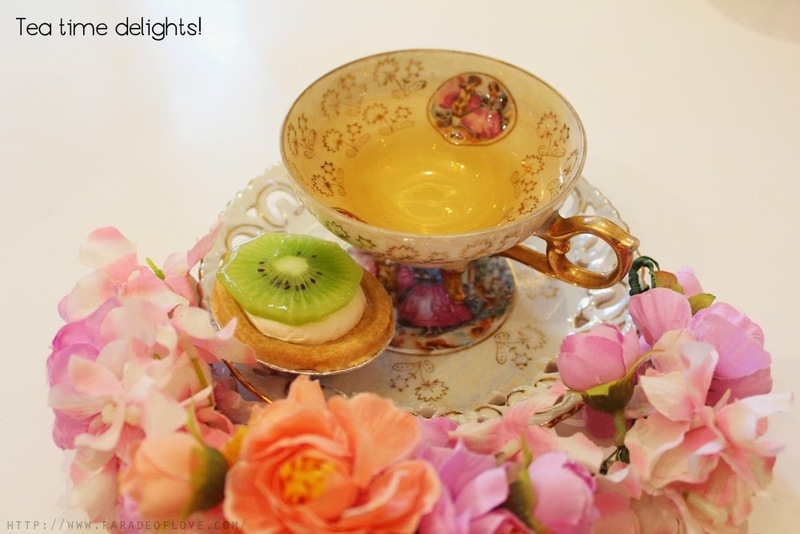 If you’re interested, the High Tea Fruity Indulgence Treatments are only available on Mondays to Fridays from 11am to 4pm, by appointment only. Each treatment is priced at $50 for first-time customers only. For the first 30 customers, receive a complimentary Cupcake Towel Gift, while stocks last!